Are you looking to plan a wedding abroad on a budget and host your wedding somewhere idyllic and picturesque, but don’t see how you could ever afford it? With this inspiration, you will be well on the way to planning the wedding of your dreams. Another reason is because getting married abroad is, in many cases, a lot cheaper than getting married in the USA or the UK. Wedding parties are often cheaper as fewer guests are in attendance, less catering is required and it costs less to hire a venue, particularly if you are prepared to go off the beaten track. On top of this, weddings abroad give you the chance to explore somewhere new with your nearest and dearest. If you get married abroad, you don’t even need to travel anywhere for your honeymoon – you can sit back and relax in a gorgeous country already. No flights, and no drama. Be sure to check out our previous post on travel tips before you get planning. If you’re truly looking to plan a wedding abroad on a budget then the country you choose depends on what you’re working within that budget, and what you want for your wedding. But, you don’t need to be a millionaire to be married in the Bahamas – it is possible to find a venue to suit any budget in almost any country. If you’re concerned about overspending, you should consider writing off Western countries like England, Scotland and France, as they are most likely to be expensive. 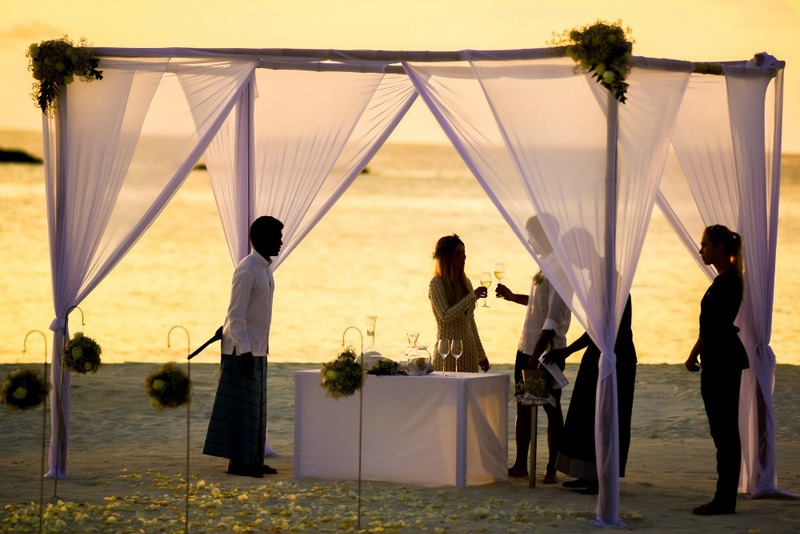 If you’re after a little bit of paradise and the chance to soak up the sun after your wedding, you should look into Fiji, Bali, Mexico, Goa and the Moana Surfrider Resort in Hawaii for wedding destinations. If you want countryside, woodlands and peace and quiet, Norway would be a great (though slightly expensive) option. Here are some more ideas of where you could get married. Have you always dreamed of getting married in a castle, and unleashing the princess within on your big day? Castles are inevitably going to be expensive venues to hire. But don’t let that get in the way of your dream – consider searching for rural castles, ruins and isolated places that may, with a little bit of TLC and decoration, become a magnificent venue. Check out this guide for inspiration. OK, so you’ve picked your venue. From castles to beaches, it’s important to add your own touch to whichever venue you choose. So, how do you go about decorating a venue abroad? Ideally, you need decorations and accessories that you can either mail abroad to meet you there or things that you can carry in your luggage easily. For affordable bridal accessories check out BridalShowerCo. This store is your one-stop shop for your wedding, including wedding favors and decorations such as banners. WeddingFavy also supplies amazing customizable wedding favor gifts to put a smile on the faces of your guests. All of the items stocked in these stores are lightweight and perfect for the price-conscious. Tip: Be sure you have a place to ship the decor to. Your venue will likely receive your decor and hold it for you. Hollie is a freelance writer and co-writer for the Hollie and the Ivy. She is passionate about upcycling, interior design, crafts and weddings. Hollie enjoys writing about these topics and spreading her knowledge and experience to others.